Uber's former head of corporate communications Andrew Noyes has joined Brigade Media, the startup supported by Silicon Valley luminaries such as Sean Parker and Marc Benioff to boost civic engagement. 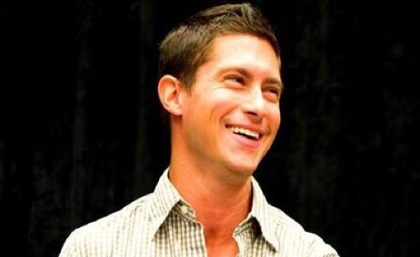 SAN FRANCISCO: Former Uber head of corporate communications Andrew Noyes has joined Brigade Media, the civic-engagement startup supported by Silicon Valley VIPs Sean Parker and Marc Benioff, as VP of communications. Noyes confirmed he started in the role last week, but declined to comment further on his responsibilities or objectives at Brigade. Brigade’s goal is to combat apathy about all levels of politics in the US and boost civic engagement. The startup is reportedly working with Burson-Marsteller. Noyes’ appointment comes as Brigade has acquired a controlling stake in Philotic, the owner of online campaign platform Causes.com and political advocacy startup Votizen. Causes CEO Matt Mahan will serve as chief executive of Brigade, while James Windon, who was Causes’ VP of revenue, will be president, tasked with overseeing partnerships and future monetization. Parker, Brigade’s executive chairman and the former Facebook president and Napster co-founder, will work with Mahan and Windon on strategic functions and will drive product vision. Jason Putorti, former lead designer at Mint.com and Votizen cofounder, will serve as VP of design. Other recent hires at the company include Adam Conner, former manager of public policy at Facebook, as VP of politics, and former Yahoo mobile engineering VP John Thrall as CTO. Noyes left Uber in May. Representatives from the transportation company did not respond to inquiries seeking comment on his replacement. He joined Uber last June from Facebook, where he managed communications and public policy since 2009. Before that, he was a reporter and editor for the National Journal Group, Communications Daily, and The Register-Herald, according to his LinkedIn profile. Last week, Uber received an infusion of cash from Fidelity Investments, Wellington Management, Summit Partners, and others of $1.2 billion that pushed the value of the company to $17 billion, making it one of the most valuable startups in the world. However, Uber, which enables consumers to hail rides from private drivers, is also facing dozens of lawsuits across the US and opposition from cab drivers in various cities. State insurance agencies have also opposed the company’s practices.